We will provide the necessary fix in the minor build 2.5.5 (ETA Jun 18). We are glad to inform you that the new version of Flexmonster has already been released. 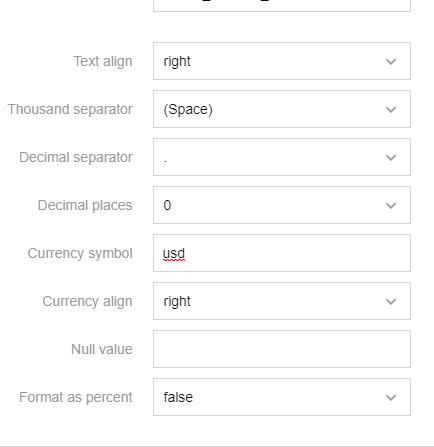 Now export to Excel works correctly when using such currency symbols: USD (usd), EUR (eur), HUF (huf), UAH (uah) etc.